Ashland, MS – TCI® has taken its most popular shifter and incorporated a slimmer design and new internals to create the Outlaw-X™ Shifter. 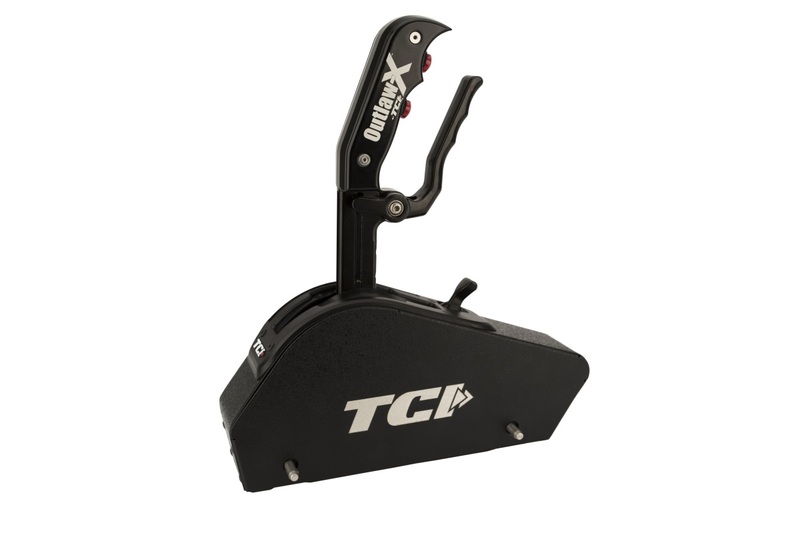 The shifter is the most compact that TCI® offers for street and race use, measuring just over 2.1 inches wide by 10.3 inches long. It features a powder-coated cover with quick release pins and a pistol-grip handle that is available with optional integrated buttons for controlling transbrake, line lock or nitrous activation. The buttons also enable electronic shifting when used with a TCI® EZ-TCU™. A Park/Neutral safety switch and provisions for a reverse-light system remain from the original TCI® Outlaw™ Shifter design, while new patented gate plate technology borrowed from the TCI® Diablo™ Shifter complies with NHRA/IHRA reverse lock-out regulations. For hands-free automated shifting with the Outlaw-X™ Shifter, TCI® has developed a solenoid kit that can easily be removed for competition in different racing classes.